Chromosomal testing on IVF embryos is not usually a regular part of the IVF process. However, some fertility specialists are offering it to couples who hope to use it to increase their chances of transferring a healthy, strong embryo to the woman's uterus. Healthier embryos have a better chance of implantion and live birth. However, the current method of deciding which embryos to transfer leaves something to be desired. In a regular IVF procedure, the embryos will be monitored 5 to 6 times a day for 3 to 5 days to see how they develop. They will then by examined under a microscope just before transfer to determine which ones look the healthiest; those embryos will be selected for transfer. The problem, however, is that appearances can be deceiving. Just because an embryo looks healthy under a microscope does not mean it is. In any given IVF cycle, some embryos are likely to have chromosomal abnormalities. These abnormalities are not detectable under a microscope. The embryo may look just fine but be missing a chromosome or have an extra one. These embryos are not likely to implant. When they do, they often result in miscarriage. The few that develop into full-term babies may have disabilities because of the chromosome abnormalities. Fertility doctors are now offering couples the opportunity to do chromosomal testing on their embryos before transfer to the uterus. This testing involves taking one or two cells from an embryo that has reached eight cells in size and sending them to a lab for examination. The lab examines the chromosomes in the cell or cells to determine if there is the right number of chromosomes. This is done with all of the embryos produced by the initial fertilization of the retrieved eggs. The results of the chromosomal testing will tell the prospective parents which embryos are normal and most likely to implant and become healthy full-term babies. It also lets the fertility doctors know exactly which embryos to transfer. The decision of whether or not to get chromosomal testing on IVF embryos must be made by the couple undergoing the procedure. However, if this additional testing is within the couple's means, it may be well worth it to complete the testing. 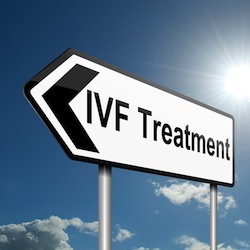 IVF is an expensive procedure and a regular cycle without chromosomal testing may not result in a pregnancy. Some couples have to go through 2 or 3 cycles before they get a successful pregnancy. Chromosomal testing adds around $2,000 onto an already 5-figure procedure and it greatly increases the chances of a successful pregnancy in the first round. In this way, chromosomal testing of IVF embryos can save hopeful parents money and heartache by giving them a greater chance of getting pregnant the first time and bringing a healthy baby home.